At the end of May 1790, at Nootka Sound, Manuel Quimper was ordered by Francisco de Eliza to explore and chart the Strait of Juan de Fuca. He was also asked to determine if this strait could also be the entry-point of a passage that probably lead to the Atlantic Ocean. Quimper had received orders to return to Nootka Sound by mid-August. By mid-July, he arrived at a bay that he named “Bahía de Bodega y Quadra” (now Discovery Bay in Washington State); as he was running out of time, he decided, with his pilots Gonzalo López de Haro and Juan Carrasco, to head back up the strait. Strong West winds and complex tidal streams would make the journey back to Nootka Sound quite difficult. 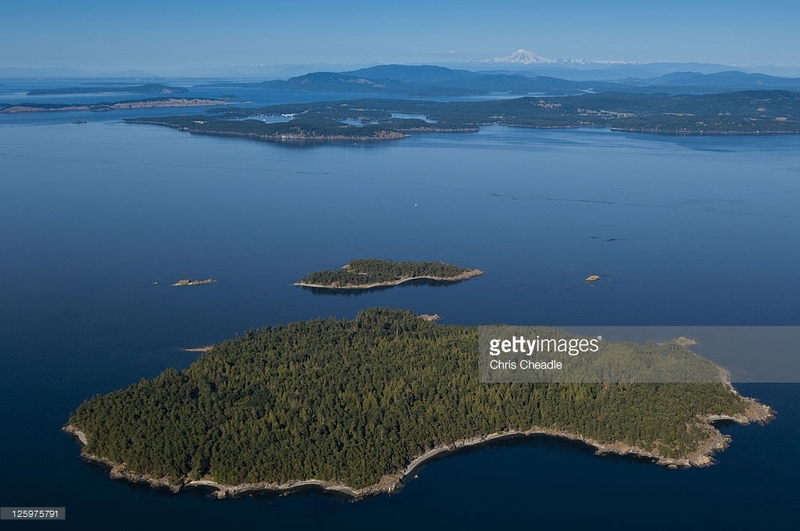 On July 18th, as he was heading back, and just before he would have reached the site of today´s city of Victoria, he noticed a channel to the North. He named it “Canal de López de Haro” (now Haro Strait). Nowadays, the border between Canada and the United States runs along the centre of this strait. Based on the discovery of the “López de Haro” Channel by Quimper and his crew, the Viceroy of New Spain, Revillagigedo, decided to order another expedition to explore the Strait of Juan de Fuca and solve the so-called “Northern Mystery”, that is, the passage leading to the Atlantic Ocean. 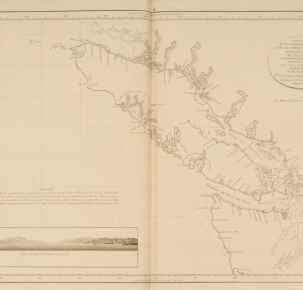 In 1792, Dionisio Alcalá Galiano and Cayetano Valdés circumnavigated Vancouver Island and could find no such passage. Kendrick, John. “End of The Northern Mystery: The Spanish in Juan de Fuca and Beyond, 1790-1792.” Spain and The North Pacific Coast. Robin Inglis, Editor. Vancouver Maritime Museum, 1992. pp. 100-110. Layland, Michael. A Perfect Eden: Encounters by Early Explorers of Vancouver Island. Touchwood Editions, 2016. pp 40-3. Rodríguez-Sala Muro, María Luisa. "Dos expediciones de altura al Pacífico Septentrional (1788-1790) y sus protagonistas: Manuel Quimper y Gonzalo López de Haro." Revista de Historia Naval. 2011. pp 45-62. Tovell, Freeman M., et al. Voyage to the Northwest Coast of America, 1792: Juan Francisco de la Bodega y Quadra and the Nootka Sound controversy. University of Oklahoma Press, 2012. Wagner, Henry R. Spanish Explorations in the Strait of Juan de Fuca. Fine Arts Press, 1933. Haro Strait nowadays from the canadian side of the border. Northern section of the Spherical chart of the explorations of the Northwest coast of America, !792. From The Museo Naval de Madrid.